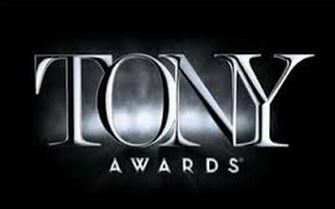 TONY Award Nominations FINALLY Announced! The TONY Award nominations FINALLY were announced this morning, and this year particularly, it seems like we were waiting for them forever! And of course, the classy jazzy ballet musical “An American in Paris” got the most nominations, tied with “Fun Home.” Next came “Something Rotten” with ten. 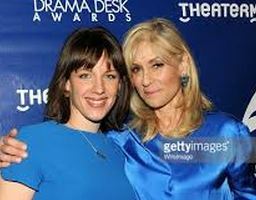 Also left out of the Supporting or Featured Actor in a Play was the stellar Bryce Pinkham from the doomed “Heidi Chronicles.” But included were Julie White for Best Featured Actress in a Play for “Airline Highway” and T. Scott Freedman also for “Airline Highway” and Victoria Clark for Best Featured Actress in a Musical for Mamita in “Gigi.” Patricia Clarkson, whom I flat out adore, got nominated for Best Featured Actress in a Play for “Elephant Man” and Alessandro Nivola got nominated for Best Featured Actor in a Play also for “Elephant Man”. Bradley Cooper, the biggest star in contention, also got nominated for “Elephant Man..” The well-reviewed, sold-out hit show is now closed. It was a limited run. 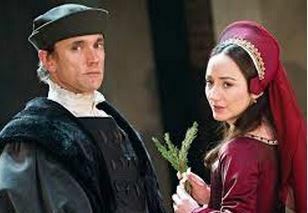 Does that leave the door open for Ben Miles, the new hot Brit star who is onstage for SIX hours as Thomas Cromwell in “Wolf Hall, Pts. 1 & 2”? 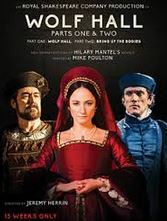 Miles’ co-stars Lydia Leonard as Anne Boleyn and Nathaniel Parker as King Henry VIII also got nominated in the Supportiiig categories. 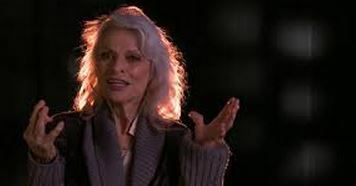 First time Broadway playwright Lisa D’Amour is VERY lucky indeed to have the magnificent 80-year-old actress Judith Roberts in the central role of Miss Ruby in “Airline Highway” which just opened on Broadway. In what is essentially a two-act introduction to her character’s entrance, a one-time stripper-turned-night-club manager/hostess, Miss Ruby is talked about constantly and referred to for the entire length of the play. The residents of the Hummingbird Motel, (too much like the “Hot L Baltimore” for my tastes) a motley crew of down-and-outers, strippers, drag queens, hookers, drug addicts, dealers, some homeless, you get the picture, form “a sub-culture”, according to a teenage sociologist, who wanders in, and they are planning to throw a funeral party for Miss Ruby who is in “the last ten hours” of her long life. It’s a messy mixture of overlapping dialogue and immature insights, yet it builds and builds to Miss Ruby’s finale entrance in HUGE red wig on a hospital gurney. And Roberts as Ruby doesn’t disappoint. In several inspiring set-pieces delivered literally flat on her back from the gurney, Ms. Roberts, in a part she seems to have been waiting for all her career, wakes up to tell her friends and revelers, “Am I in a parking lot?” Which she is. And it forms a part of the Airline Highway of the title, a bereft scummy suburb of New Orleans, and it’s Jazz Festival week.It’s a seamy, swampy section the Big Easy, a city were they Mardi Gras never ends. You can hear a pin drop as Miss Ruby delivers several fiery speeches culminating with her exclaiming “I am never going to die!” And of course, not too long after, she does. Sad, sassy, silly,messy and massively redundant, “Airline Highway” builds its improvisatory, Steppenwolf-style to Miss Ruby’s penultimate shining moments. And thank god Judith Roberts is there to deliver on their promise! She renders “Airline Highway” inspiring. T.Todd Freeman as Sissy Na-Na, the prerequisite black drag queen, makes this stereotypical role as fun and well-rounded as it could possibly be. And the great Julie White does a complete 360 as a washed-up stripper prostitute in a dramatic role which she is a complete surprise in. 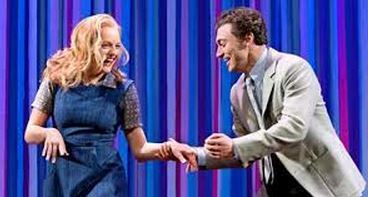 She won a Tony for “Little Dog Laughed” playing a comic role, which is her usual metier. Both Freeman and White received Drama Desk nominations for Best Featured Actor and Actress in a Play, but it is the un-sung Judith Roberts, who triumphs in the end in her uplifting life-affirming arias even as her life is ending. Heads the List with 12 Nominations! Outer Critics Circle, the organization of writers and commentators covering New York theater for out-of-town newspapers, national publications and other media beyond Broadway, announced today (April 20, 2015) its nominees for the 2014-15 season in 24 categories. Broadway stars Raúl Esparza and Katie Finneran presided over the (11AM) announcement ceremony at Manhattan’s Friars Club. Celebrating its 65th season of bestowing awards of excellence in the field of theater, the Outer Critics Circle is an association with members affiliated with more than ninety newspapers, magazines, websites, radio and television stations, and theatre publications in America and abroad. The winners will be announced on Monday, May 11th. The annual Gala Awards Dinner and presentation of awards to the winners will be held on Thursday, May 21st (4PM) at the legendary Sardi’s Restaurant. ***Please note: Disgraced, Fun Home and Hand to God received nominations and or awards from Outer Critics Circle in previous seasons and therefore were not considered for this year. Spring is Finally Here! The Inn at 7 Central, Provincetown! Spring has FINALLY arrived in NYC and after a long, hard winter and what can only be described as a late spring, why not check out my video visit to the Inn at 7 Central in Provincetown? Where it’s always summer! The day we shot this it was 88 degrees!